cares for as a doctor and director at The Medical Center of Houston, Texas. 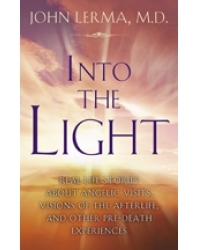 • The exhilarating and calming elements of pre-death experiences. • Healing during the dying process. • The difference between hallucinations and visions. in Into the Light will leave you feeling uplifted in faith, hope, and love. medicine with MD Anderson Hospital, the leading cancer institute in the world. Dr. Lerma is a frequent guest on local, national, and international radio and TV.